Am I Talking Loud Enough So God Can Hear Me? Today I got told that I wasn’t talking loud enough. Taking just a second to set the stage I am attending a training seminar to become a facilitator for chronic disease self management workshops in this area. I’m really excited about it and it has loads and loads of awesome information. Part of the training is practice teaching sessions wherein we teach some of the things we are learning to our group and the instructors and members of the group provide feedback. None of us are flawless in our delivery at this point in our training so these are learning experiences to build our confidence and enhance our techniques. One of the members said that I wasn’t loud enough to be heard by the entire group, which of course is an important aspect of effective leading/facilitating. So, I will take that and other feedback into the next practice teaching session and make sure I am loud enough to be heard. I’ll admit I did initially take the feedback a little too personally but then realized I was slipping into an old pattern of beating myself up because what I had done was not perfect, at least not in my eyes. And all over something as simple as not being loud enough. Good grief! I’m in a class. I’m learning something new. I’m not expected to have perfected it and probably won’t ever be perfect when I teach the class. However, this got me to thinking. Speaking loud enough to be heard by a target group of people does more than just let your words be heard. It instills confidence in the members of the group in you as a leader. Whether or not you truly are confident all the way down to your toes it can at least give the impression you are and you know what, it actually builds your confidence. So, where is all this going? I got to thinking about how I approach God in how I pray and how I express my desires and needs to him. Am I confident when I pray? Am I bold? Do I clearly express what is on my heart? Do I truly believe that He hears me? Do I talk “loud enough” to God? In the Psalms David certainly didn’t hold back any emotion when he cried out to God. Yes, God already knew what was on David’s heart but we are to be confident in our prayers, not holding anything back from God. David knew that God heard him and trusted Him to deliver out of whatever situation he was in waiting on God’s timing. John 5:14 – 15 says, “This is the confidence we have in approaching God; that if we ask anything according to his will, he hears us. And if we know that he hears us – whatever we ask – we know that we have what we asked of him.” One word really sticks out to me in this scripture – confidence. How truly confident am I when I pray and submit my requests and desires to God? Is there still some small part of me that holds back just a little, thinking that there must be something I need to do to make something happen and maybe, just maybe,God needs me to “help”? Oh boy, how wrong is that if that is what I have truly been doing. I know I am so much better at trusting God to work out a situation instead of trying to do it all myself. Yes, I know there are things he may/will ask me to do during the process. 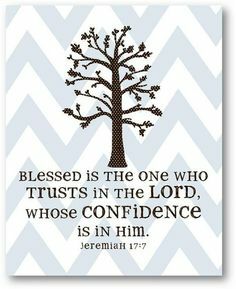 However, I must be confident in submitting my needs to God and trust He will work it out in His timing. It’s that waiting thing that I have a problem with some times, but that’s for another posting. We should be both bold and confident in our prayers. We should express what is on our heart, no matter what our emotions are. God already knows anyway. If what we desire is His desire for us as well then He will bring it to pass in His timing. We should pray to sense God’s leading and prompting. Jeremiah 29:13 says, “You will seek me and find me when you seek me with all your heart”. That image of seeking Him with all I am makes me joyful. It’s what I truly desire to do. And yes, I want to talk loud enough so God will definitely hear me!